Sliding into position as the third largest of the British Virgin Islands, this popular tourist destination has plenty to offer to luxury private jet travelers. Whether it’s laying on the beach with your toes in the sand and a drink in your hand, snorkeling in the crystal clear waters, or trekking through the dense forestry that garnishes the island, is the place to do it. If you want to travel the Virgin Islands in style, then Air Charter Virgin Islands is the best company to help you do just that. Our Wyvern certified jet charter representatives have the experience and knowledge to ensure that your trip to the Virgin Islands is your best private flight yet. We’re capable of accommodating nearly any request, and we know the in’s and out’s of working with a clientele encompassing top-tier business executives, A-list celebrities, first time flyers, and luxury private flight veterans. Our jet charter representatives are available 24 hours a day and 7 days a week to ensure that your needs are met exactly when they need to be. So request a quote now, or give us a call to book your luxury private flight to Virgin Gorda. As the third largest isle in the British Virgin Islands, Virgin Gorda has more lodging options than its smaller sisters. These options range from charming boutique cottages overlooking the north shore to hefty oceanfront resorts that cater to families and couples alike. This gives you the power to pick a hotel that perfectly suits your needs, while having to sacrifice very little in the way of location. For luxury private jet travelers, this basically ensures an enjoyable trip full of top-tier amenities, easily-accessible attractions, and impeccable service. However, with all of these options, it can make things a bit difficult when choosing the perfect hotel for you and whoever you’re traveling with. So to make the decision making process a bit more stress-free, we’ve compiled a list of the absolute best lodging options in Virgin Gorda. 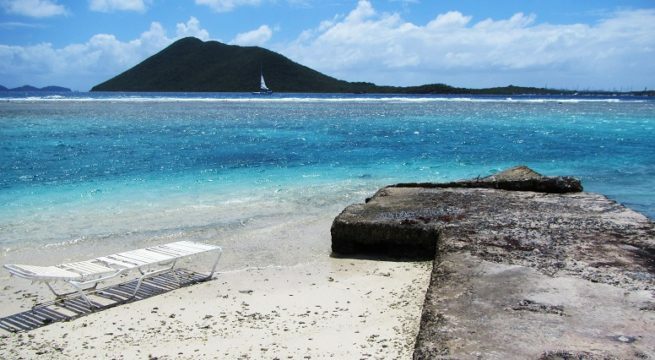 Based on Virgin Islands Jet Charter client feedback, online reviews, amenities offered, and location, there’s sure to be something ono the list that strikes your interest. A luxury private flight to Virgin Gorda will surely set you up for a vacation that won’t soon be forgot. The island’s laundry list of attractions encompasses just about every niche interest under the sun. Drinking, beaches, sailing, snorkeling, cave diving, hiking, and quiet contemplation all exist within Virgin Gorda’s indescribably serene and inspiring environment. 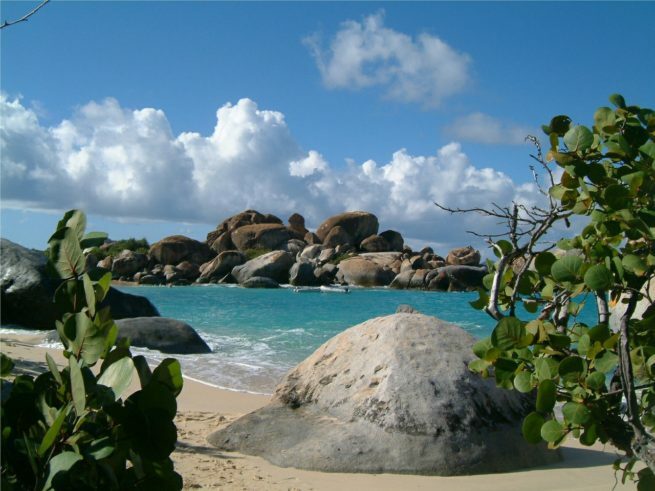 However, very few people visit Virgin Gorda looking for excitement in any shape or form. Instead, they seek the island’s most popular and most enticing attraction- uninhibited relaxation. If you’re a private jet traveler that is craving some solitude, some sun, and maybe a few drinks, then this is the place for you. For relaxation at its finest, stay in one of North Sound’s charming and luxurious upscale resorts. Most will offer beachside service so that you need not even get up from your beach chair to refill your drink. Now, if you’re hoping for a bit more excitement during your trip to Virgin Gorda, you need not walk the beaten path with the other visitors. There are plenty of daytime excursions and night time diversions to keep you in full-on vacation mode throughout your trip. For a bit of exercise, head out to Virgin Gorda Peak and enjoy some of the island’s best scenic views on your way there. As the island’s tallest point, this 1300-foot-tall peak offers a challenging hike to the top through an expertly cut trail straight through the heart of the Virgin Gorda’s most beautiful plant life. Your other options for a land-based excursion include the various trails that meander through the island, the most popular being Biras Creek Trail. It boasts the most varied and prolific display of indigenous flora on the island, and will keep nature lovers enthralled for hours on end. Whatever you decide to do in Virgin Gorda, whether it’s adventuring through gorgeous peaks or lounging on iconic beaches, you’re sure to find exactly what you’re looking for. However, with the amount of options, it might be a bit difficult to sift through the rabble. With that in mind, you may want to keep reading. We at Virgin Islands Jet Charter have compiled a list of the absolute best attractions on the island for luxury private jet travellers. Based on jet charter client feedback, online reviews, and location this list of the best attractions, bars, and restaurants is sure to have something on it that strikes your interest; so read on to check it out. Astounding natural beauty and world-class snorkeling makes this hidden gem and absolute must-see when visiting Virgin Gorda. The highest point on Virgin Gorda, this 1370-Foot-high peak is a popular destination for travellers seeking a day long excursion away from the water. One of the many trails meandering through Virgin Gorda, Biras Creek Trail is generally considered to be the most scenic and challenging of the various options. Air Charter Virgin Islands utilizes the following airport to fly clients privately to/from Virgin Gorda and neighboring areas of the British Virgin Islands. Request a Quote or give us a call at 1-888-987-5387 to speak with one of our Virgin Gorda Private Jet Charter agents for your next luxury vacation, business trip, or special event.